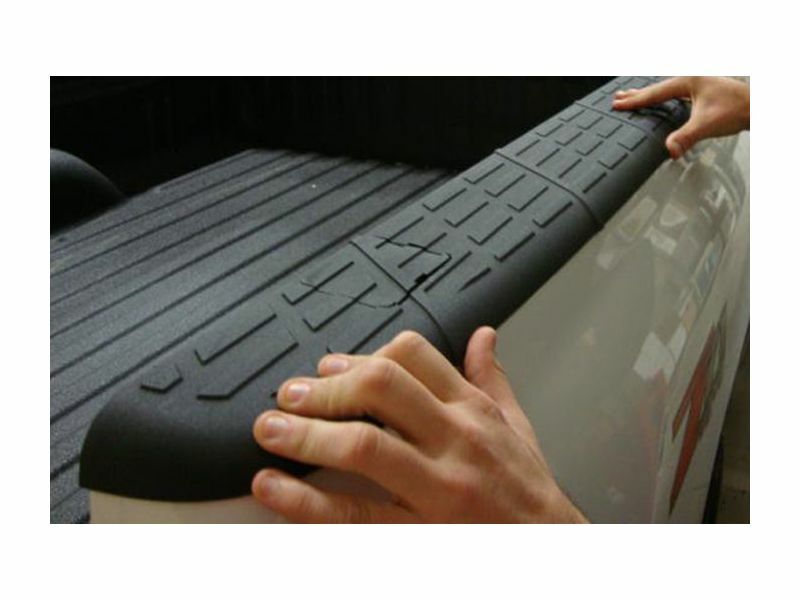 Husky Liners QuadCaps bed rail caps are the answer to all your truck bed rail protection needs. They are built to be tough and long lasting using Thermoplastic Polyolefin, which is strong, highly durable, and ensures maximum protection for your bed rails. Made using four pieces held together with a hidden seam in their unique modular design, Husky Liners QuadCaps bed rail caps sport a factory matched look with rugged styling that perfectly suits your Chevy Silverado or GMC Sierra. They are custom fit to the make and model of your vehicle, so you know you'll get a perfect fitment without needing to cut them to size. Installing your Husky Liners QuadCaps bed rail caps is also a simple procedure that can be done at home without professional help. Each pair comes with handy 3M adhesive tape that is high strength and offers a firm mount to your truck that won't come loose. They are also resistant to cracking or warping, and are made thicker and stronger than most other bed caps. If you're looking for the ultimate combination of style and durability in bed rail protection, then you've found just what you're after with Husky Liners QuadCaps bed rail caps. Order yours now! The Husky Liners Quad Caps have a lifetime warranty. The warranty covers against manufacturing defects and workmanship. The QuadCaps also have a lifetime guarantee against breaking and cracking. For further details please call our terrific customer service team at 877-216-5446. Your Husky Liners Quad Caps truck bed caps can be installed right at home with no drilling or cutting needed. Installation is quick and easy with the included 3M tape. For additional information please see the installation instructions below or call us at 877-216-5446.